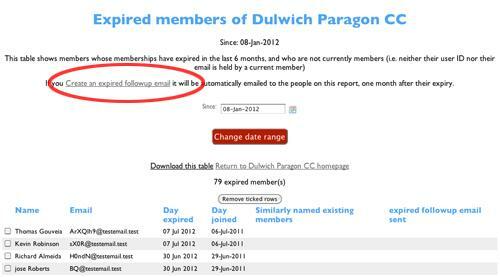 There is now a link to set up an 'expired follow-up email'. This takes you to the standard edit email page where you can write an email that will be sent to members one month after their expiry. You can include merge fields in the email you write (such as the member's name or a link they can use to renew their membership directly). You can also choose to copy group admins on emails that are sent. Once set up, the emails should take care of themselves. 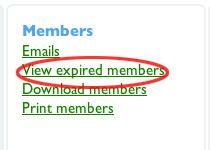 If you remove someone from the expired members page (by ticking the box next to their name and clicking 'remove') they will not be sent an expiry follow-up email. 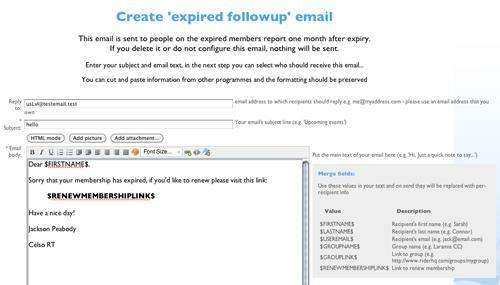 After the email is sent, you will see a 'Yes' in the 'expired followup email sent' column, so you can keep an eye on who has received the emails.